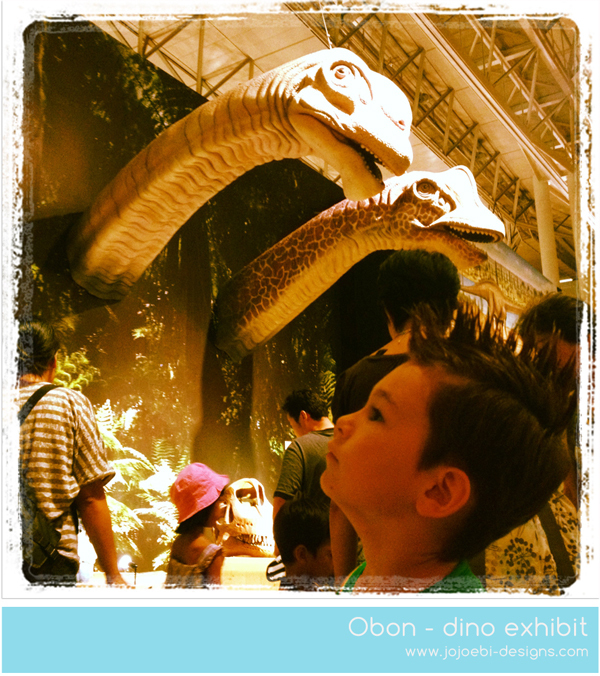 After the few days in Wakayama, we travelled to Chiba to got to the Dinoworld exhibit at Makuhari Messe. I am kind of torn about this exhibit, it was over priced in my opinion and could have been laid out better. There were some interactive things for the kids to do but many of the the quest were really long. I think with it being really hot day it didn't really help matters. 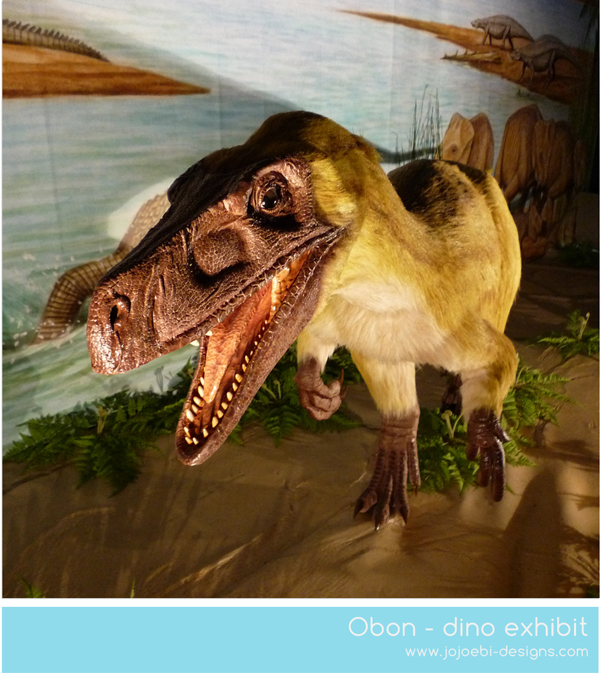 The big news in the dino world is that they now think that a lot of the dino had feathers, including T-rex and they had some pretty cool models showing what they think they would have looked like. 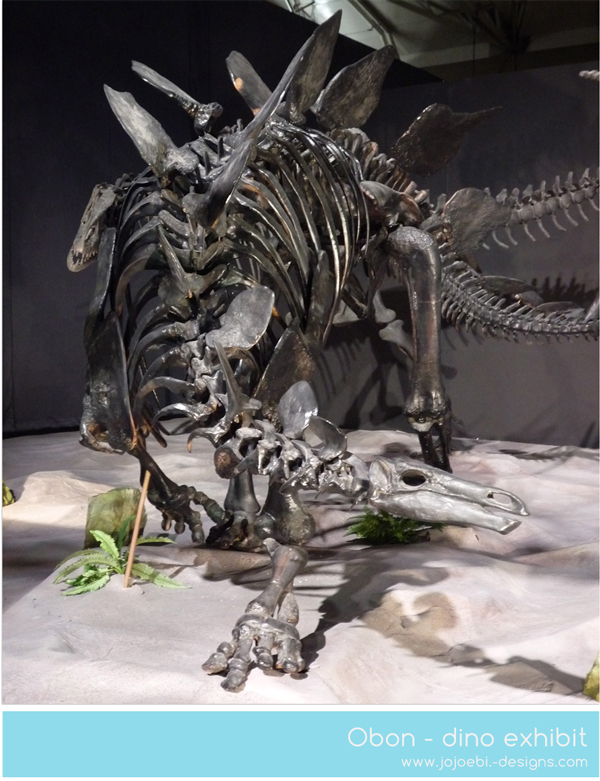 There were also lots of replicas of dinosaurs including the largest bones ever found (I think), this isn't it, it is of course Ebi-kun's favourite, Stegosaurus. All in all, I expected it to take us much longer than 2 hours - at a slow pace, to get around. They did have a massive gift shop which of course you had to go through to get out. Ebi-kun had been given some money from Baa-chan and Jii-chan so he bought himself a kits to dig out bones from a block of plaster and a wallet to keep the rest of his change in! We had arranged to meet friends at 4pm so we had a couple of hours to kill but we didn't know the area at all, it was waaaay to hot to go out so we ended up going to Lalaport an enormous shopping mall. 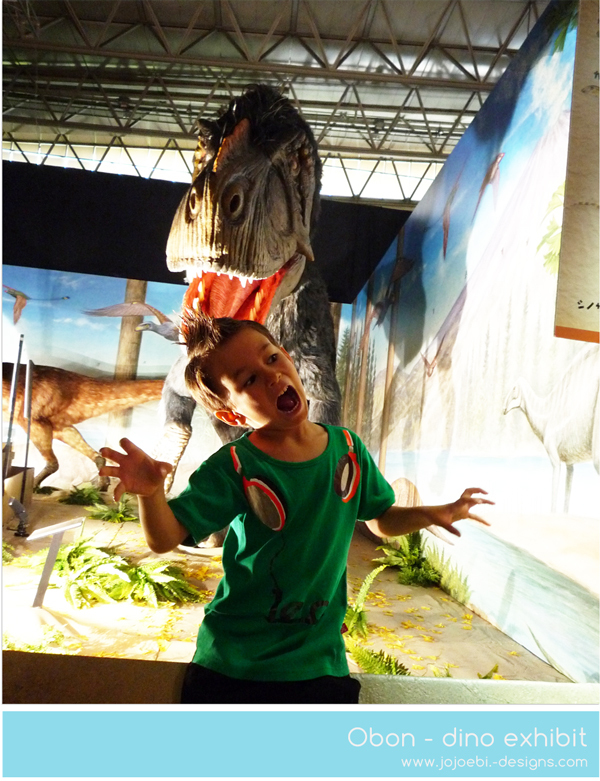 The upside was it had a big play areas so Ebi-kun could get his wiggles out and I left daddy in charge and sneaked off for an hours mooch around the shops.